Its your lucky day! The previous contract fell through so this gorgeous home is back on the market. 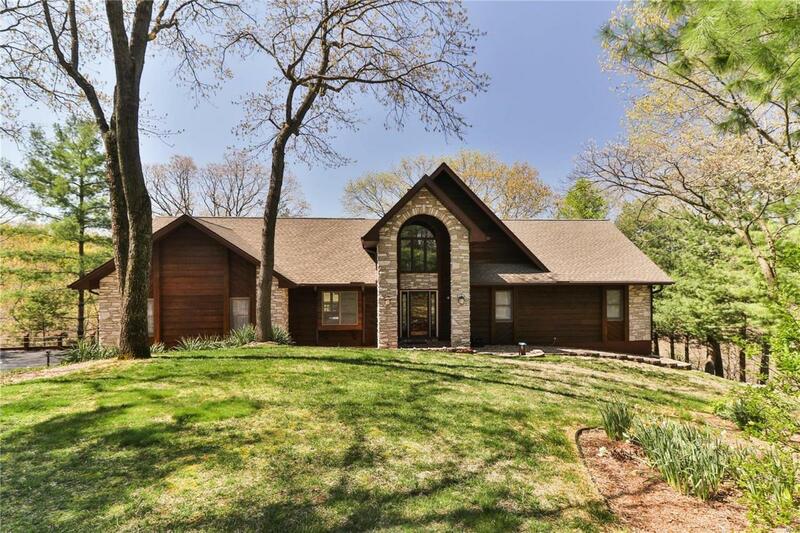 Overlooking the Meramec River Valley, the stunning views from the back of the home will take your breath away. Located at the end of a cul-de-sac with complete privacy. Property includes 2 lots, 1514 and 1515 Hawk Forest Rd, for a total of 7.63 acres. This beautiful home has been meticulously maintained and renovated with updated kitchen and baths, flooring, lighting, windows and doors, plus extensive exterior updates including a gorgeous screened porch with vaulted ceiling and skylights and expansive deck across the back of the home. The 2-story great room is the heart of the home with a floor to ceiling masonry gas fireplace flanked by Palladian windows. The loft overlooking the great room is the perfect spot for a home office! The walk-out lower level is finished with wood burning stove, full bath, expansive finished laundry room. Located minutes from Manchester and Clarkson!